Custom Oil Paintings at 80% less than gallery prices! in an art gallery, and wished you could own that painting and have it hang in your own living room? Now it's easier than ever to make your dream come true. into a breathtaking keepsake or stunning gift. 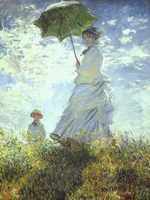 Enjoy selecting from our large gallery of oil paintings and art reproductions. Some of our Masterpiece Artists include Claude Monet, Vincent Van Gogh, El Greco and many more famous artists art reproductions are available. Browse our fine art reproduction collection or use our search tool under to quickly fine the painting you are looking for. A fine art reproduction is created just for you. Whether it is an oil painting reproduction or a fine art oil portrait to hang on your wall, the artists at Reproduction Fine Art will ensure your fine artwork is delivered to you with the high level of detail you expect. You will be astonished to see your fine art reproduction on your wall appearing as if it were the original oil painting. Reproduction Fine Art will continue to expand the number of art reproductions available on our site. You, our treasured customers, always come first and you will receive the fine art reproduction you require. Contact Reproduction Fine Art for any questions or inquiries that you may have. To order your fine art reproduction, choose an artist in the Artist Gallery, then click on the thumbnail picture or more info button of the oil painting reproduction that you like, then choose the size and price of the fine art reproduction, then click on the "buy now" button and order through our very secure server. It?s extremely safe, easy and in about 3 to 4 weeks your oil painting will arrive in perfect condition.